Carta’s newest title, Understanding the Gospels as Ancient Jewish Literature, presents a fresh, accessible take on the Jewishness of Matthew, Mark, Luke, and John. The author, Jeffrey P. García, does an excellent job of presenting solid scholarly material for a lay audience, and when his text is combined with Carta’s signature maps, pictures, and graphs, the result is a highly accessible, highly engaging volume, perfect for the lay person, undergraduate student, and beyond. 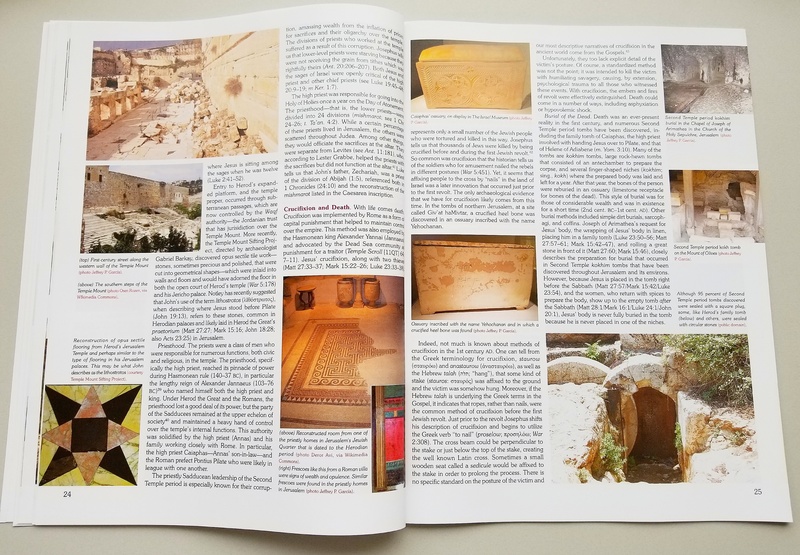 Although some of the material would be considered basic for graduate students, Understanding the Gospels as Ancient Jewish Literature also contains original scholarship that both students and professors will find interesting and enlightening. The title Understanding the Gospels as Ancient Jewish Literature does a good job of communicating the fact that García is both illuminating the content of the Gospels by showing how they fit within the context of Jewish life and literature at the time and using the Gospels as a source for ancient Judaism. For example, by reading Jesus’s parable of “The House Built Upon a Rock” in Matthew 7:24–27 in conjunction with a strikingly similar version in Avot de-Rabbi Nathan, we learn that the original Jewish context for this parable was a debate about which was more important: good deeds or Torah study. 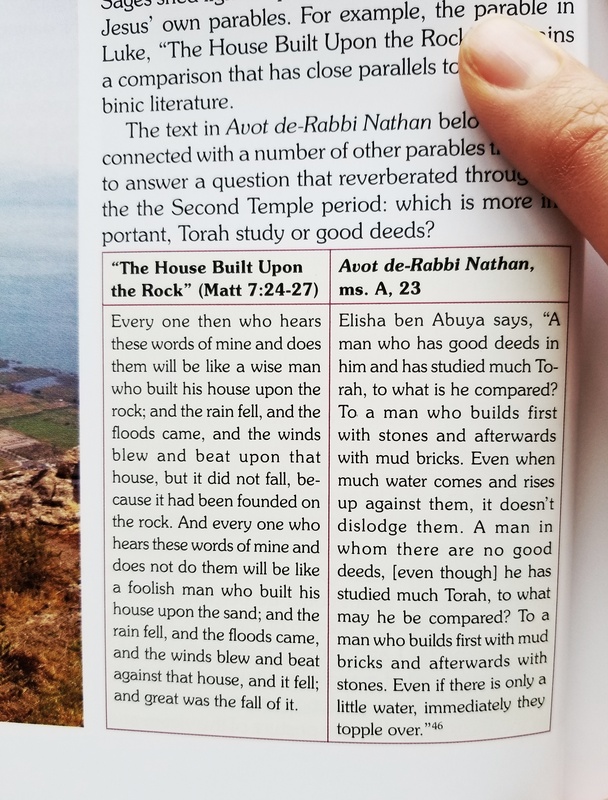 In the Avot de-Rabbi Nathan version, the man who builds his house upon a rock has good deeds and studies much Torah, while the man who uses mud bricks for his foundation is one who studies much Torah but has no good deeds. Jesus begins his parable, “Everyone then who hears these words of mine and does them…” (emphasis mine). Read in light of the parallel parable, we see that Jesus is equating his words with Torah and applying the same standard to them as was applied to the Torah: it is not enough to hear what Jesus says—you must put it in action. This is a good example of how ancient Jewish literature can help us understand the Gospels better. But on the flip side, García shows us how the Gospels can shed light on the study of Judaism as well. For example, the phrase “Abraham’s bosom” to refer to some sort of heavenly afterlife does not occur in Jewish literature until Pesikta de-Rav Kahana (7th century); it is also used in this way in the Babylonian Talmud (8th century) and Pesikta Rabbati (9th century). However, it appears with this same meaning in Luke 16 in the parable of “Lazarus and the Rich Man”: when the destitute Lazarus dies, he is “carried by angels to Abraham’s bosom,” which is contrast to the Rich Man, who is suffering torment in Hades and is extremely thirsty. García states that “…it is unlikely Luke’s [mention of Abraham’s bosom] is a late editorial addition by a scribe since ‘Abraham’s bosom’ appears in very early manuscripts that predate these midrashim.” Thus, the Gospel of Luke enables us to date this concept of “Abraham’s bosom” to the Second Temple Period, as opposed to the 7th century. Understanding the Gospels as Ancient Jewish Literature covers many more such points of contact between the Gospels and early Jewish literature, as well as additional context for the Gospels drawn from archaeology, geography, and political history. Here is the table of contents so you can peruse the scope of the book for yourself (click to see hi-res image)! 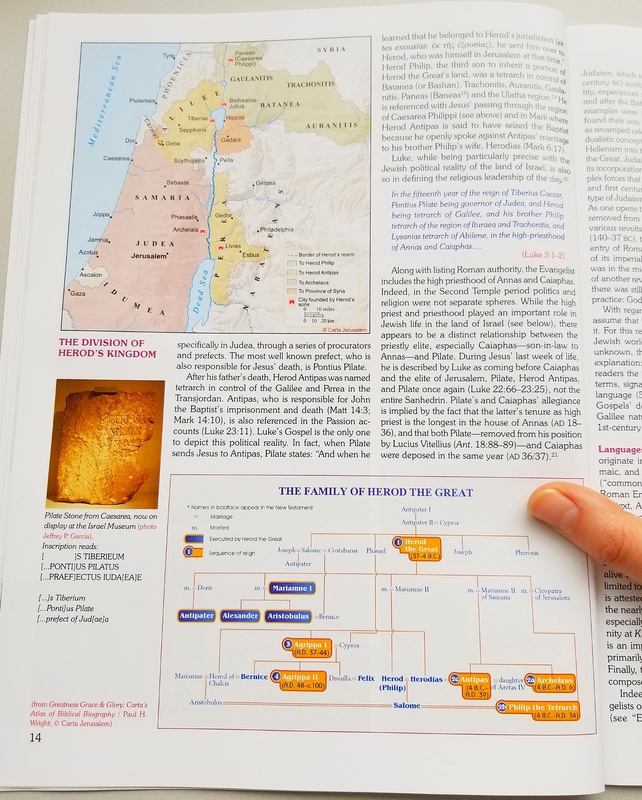 One impressive feature of Understanding the Gospels as Ancient Jewish Literature is how it lays out the basic information about ancient Jewish literature in a way that is accessible to those unfamiliar with it, such as students. 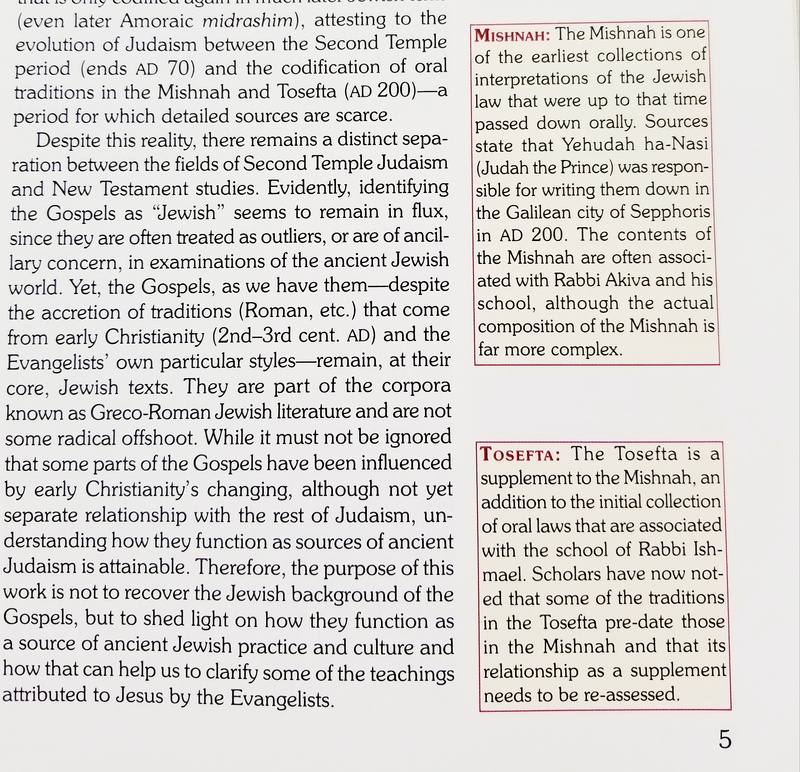 For example, there are several text boxes set apart from the main text that give brief summaries on the Apocrypha, the Pseudepigrapha, extra-biblical texts, as well as early rabbinic material such as Tannaitic Literature, Amoraic Midrashim, the Mishnah, and the Tosefta. 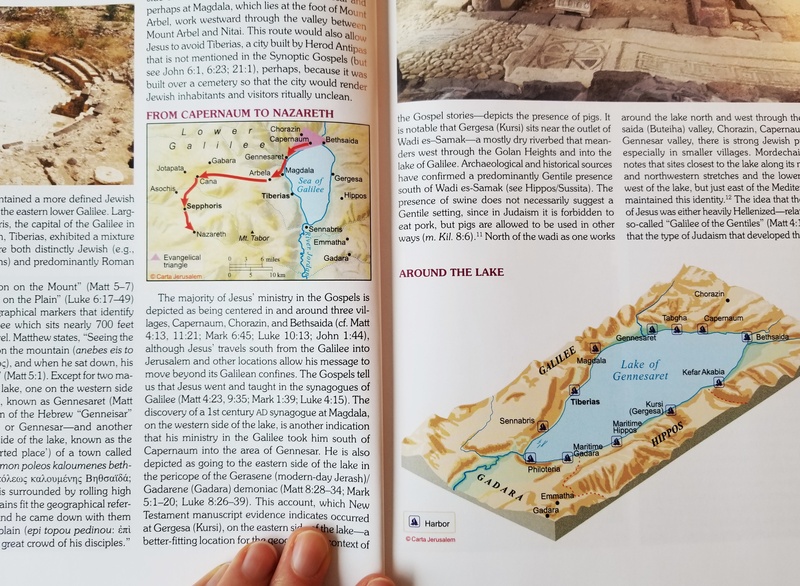 García also walks the reader through the relevant geography of the events in the gospels—Carta’s maps are highly useful here—in a way that grounds the gospel accounts in the reality of Jewish life in the first century. 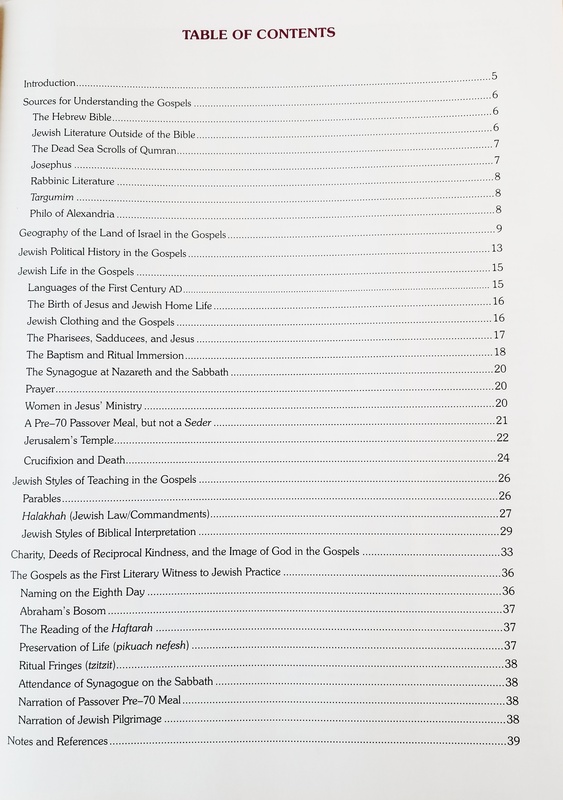 I especially appreciate García’s excellent summaries in the section titled “Jewish Life in the Gospels,” which contain enlightening information that broadened my understanding of certain gospel passages. For example, he explains that the traditional translation of “there was no room for them in the inn” in the well-known story of the birth of Jesus does not convey what was likely meant by the original text. The word translated “inn” is better translated as “place for them to stay” and probably refers to the house of Joseph’s father, since they were in Joseph’s home town at the time for the census. In those days, when a son got married, his father would build an additional wing onto the house for the son and his new wife to live in. Apparently, when it was time for Jesus to be born, this addition to the house was not completed, and so Joseph and Mary stayed in the lower part of the house, where the animals lived (and yes, the animals lived in the house!). Thus, instead of camping out in a random barn somewhere, Jesus was born in his grandparents’ home, surrounded by warmth and family. I’m not sure this altered understanding of Jesus’s birth place has any actual theological significance, but if it can put an end to the many Christmas sermons I’ve heard trying to extract meaning from the fact that “there was no room for them in the inn,” García will have done the world a great service. In Understanding the Gospels as Ancient Jewish Literature, García has created both an excellent classroom resource and an enjoyable and enlightening read for anyone interested in the topic of Jewishness of the Gospels and their place vis-à-vis other ancient Jewish literature. And its affordable price tag will be appreciated by students and non-students alike! Amy Paulsen-Reed is an Assistant Editor and Sales Representative at Hendrickson Publishers. She has a doctorate in Hebrew Bible from Harvard University, where she focused on Jewish biblical interpretation in antiquity. She lives in Gloucester, MA with her husband Michael and her daughter Lillian. She is a self-confessed language and grammar nerd, and enjoys cooking, baking, and napping in her spare time. For more information about Understanding the Gospels as Ancient Jewish Literature, visit our website.